Insomnia we can lead to feelings of irritability, restlessness and imbalance. In this video we are going to explore how Ayurvedic inspired evening routines with yoga can help to provide anxiety relief for vata and pitta dosha. It is not unusual for us to be overwhelmed with work and family life. Our mind is constantly on overdrive with overactive thoughts, stress and worry. 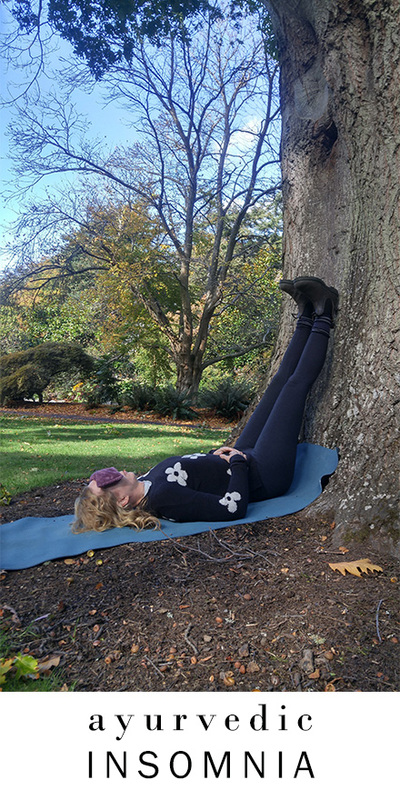 Simple practices that bring your senses back into balance and settle your nervous system help reduce anxiety to let you sleep soundly through the night. Ayurveda and yoga offer us the tools to access a calm nervous system and reduced anxiety. 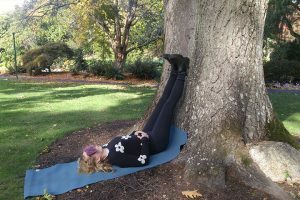 In this video I am going to offer you one pose that will calm your nervous system, allow you to disengage from overwhelm and help you to bring your senses back into balance.